This is a Holy Priest Custom Class for Legion especially made for leveling by healing in dungeons or groups (party mode). The code is still based on Pasterke's Druid Restoration Heal Routine and AudreyH's Holy Paladin Fight Class. The class is not intended to be used in battlegrounds! 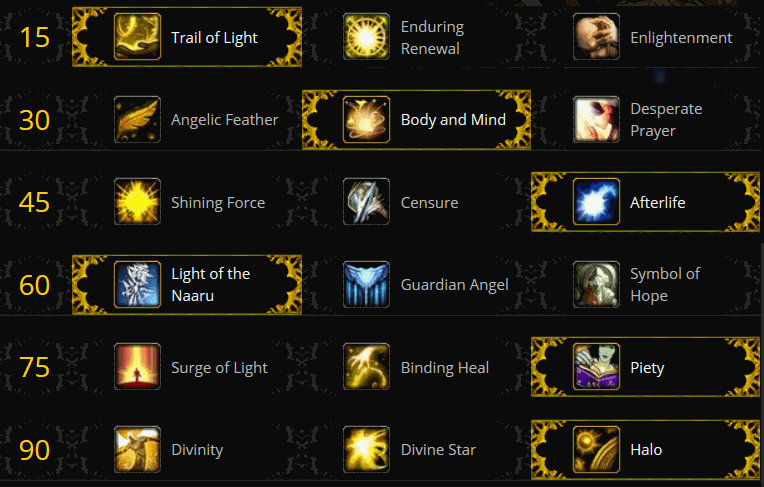 All spells need to be configured before the class can be used, all options are deactivated by default. This fightclass is not a final version, there's many stuff that can be improved or added - any questions, help or ideas are welcome! DON'T use this Class in dungeons while being AFK - movement in dungeons is pretty messy, you will get stuck! - added Mass Resurrection if option "Resurrection on" is set to "all"
- changed Renew and Flash Heal to make use of "Max healrange"
Only thing I would change is stopping the healing if the target is out of range. Sometimes when the target is too far away it says "Out of range" but when you try to move somewhere, it interrupts your movement with a spell.